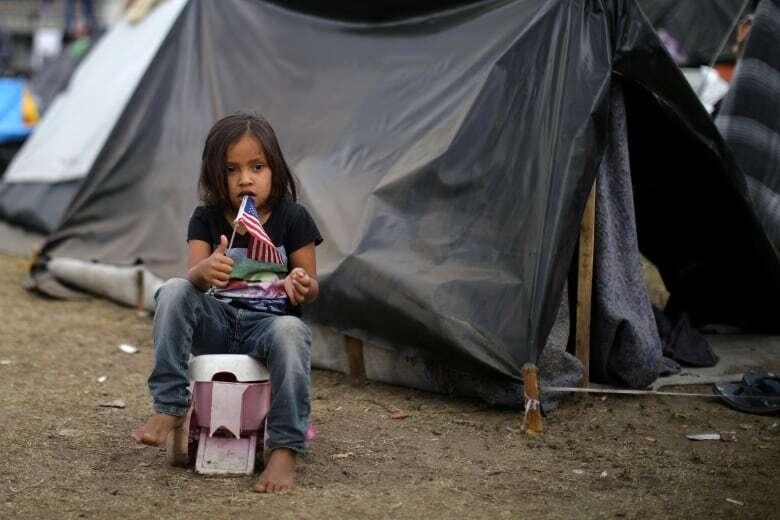 Aid workers and humanitarian organizations are expressing concern about unsanitary conditions at the sports complex in Tijuana where more than 6,000 Central American migrants — including over 1,000 children — are packed into a space adequate for half that many. 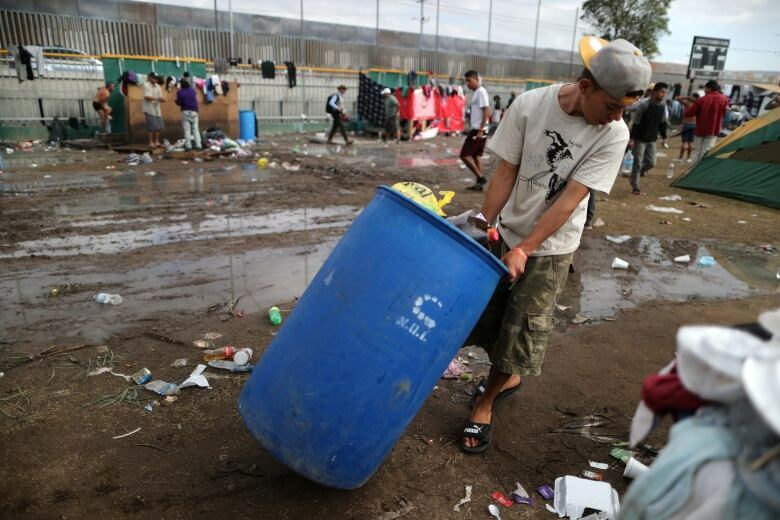 Aid workers and humanitarian organizations are expressing concern about unsanitary conditions at the sports complex in Tijuana where more than 6,000 Central American migrants are packed into a space adequate for half that many people and where lice infestations and respiratory infections are rampant. As a chill rain fell, the dust that coated everyone and everything in the open-air stadium turned to mud Thursday, making the already miserable conditions worse. 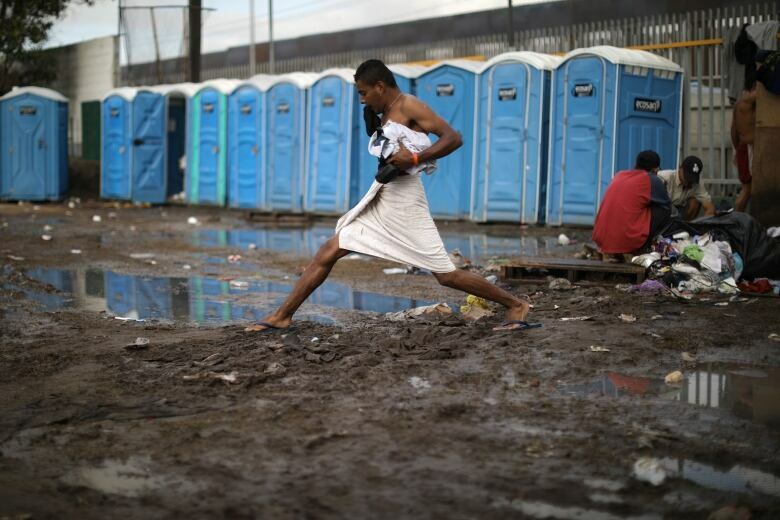 On one side of the complex, a mud pit grew where people took outdoor showers next to a line of foul-smelling portable toilets. 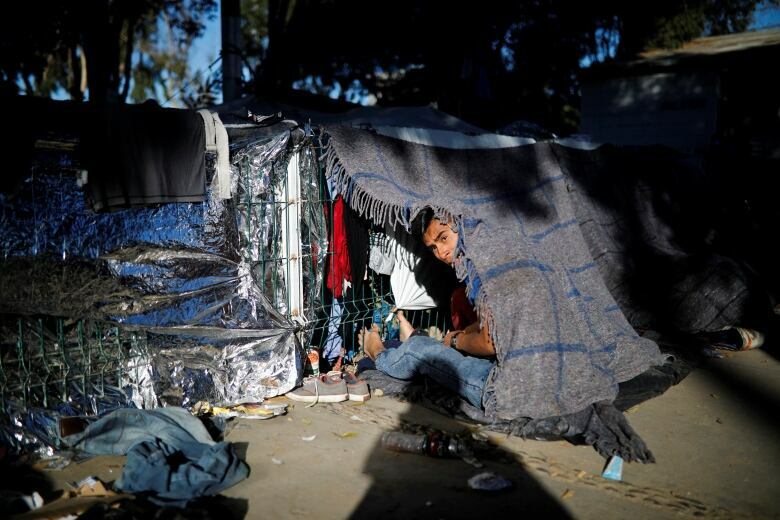 The large wedding-style tent pitched in the middle of a sports field and several smaller ones with a capacity for just a few hundred people were far from adequate for the swelling number of migrants who keep arriving daily. 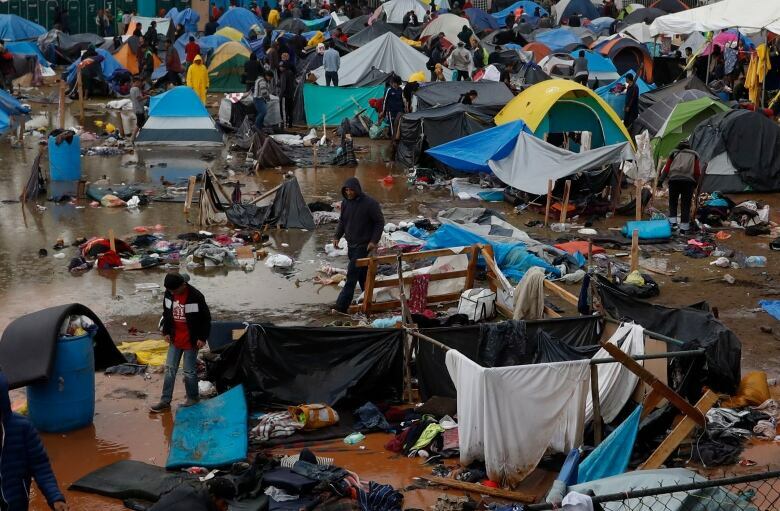 The vast majority of the migrants were camped in makeshift enclosures made of lashed blankets and sheets of plastic or flimsy tents. 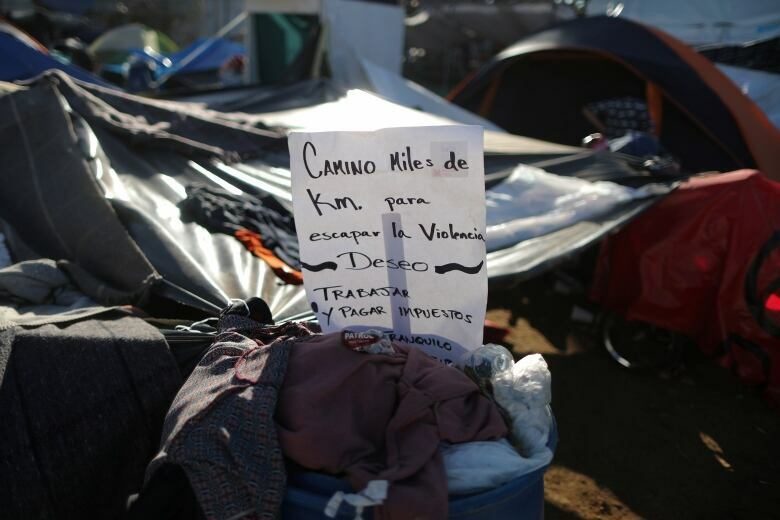 Another 200 people slept on sidewalks because they couldn't find space in the complex or decided it was more comfortable outside. "The truth is there is no room there inside. 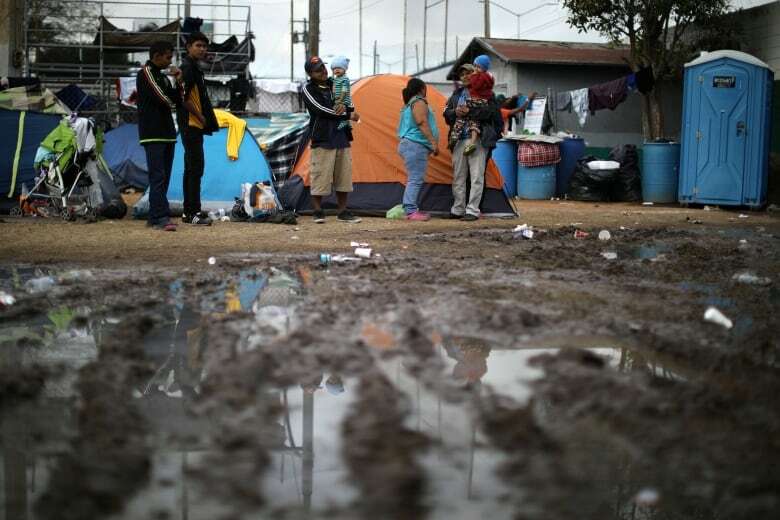 We asked yesterday," said Astrid Yajaira of Sonsonate, El Salvador, who spent the night with three friends on a sidewalk in front of a warehouse across the street from the stadium. She had a sore throat and had hoped to find shelter inside. 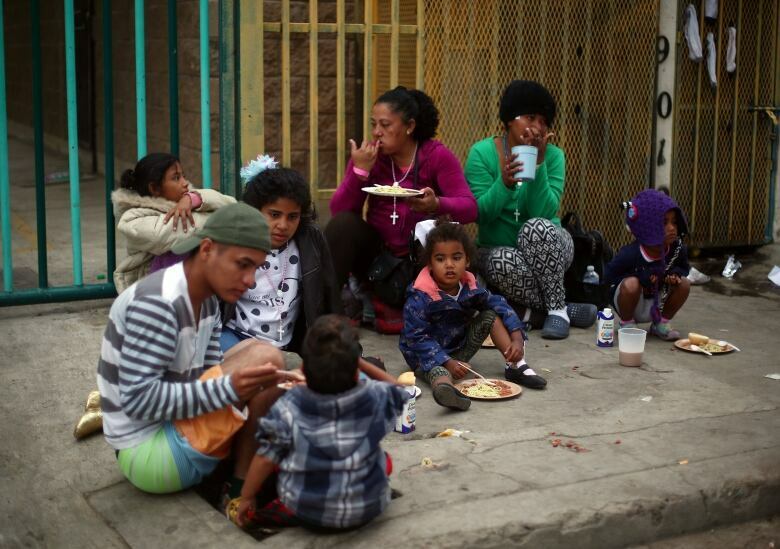 The United Nations children's agency, UNICEF, said it was "deeply concerned" for the well-being of more than 1,000 migrant children waiting in Tijuana or still moving north through Mexico. 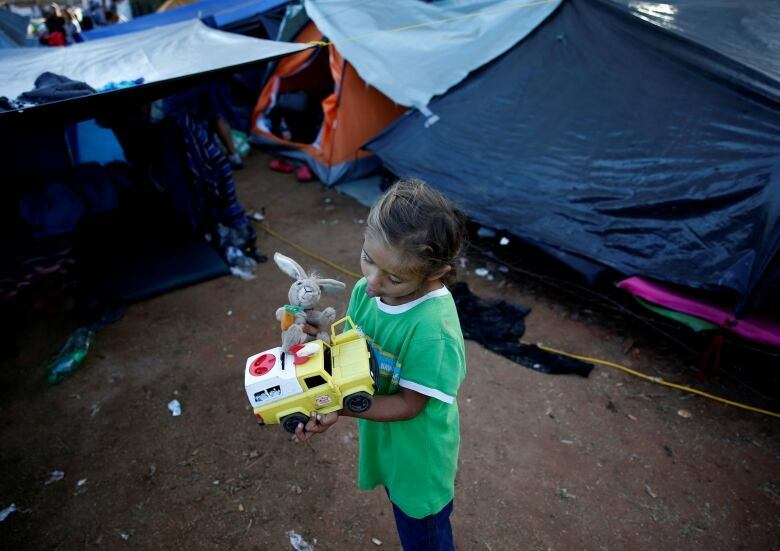 According to local officials, of the more than 6,150 migrants at the shelter as of Wednesday, 1,068 were children. 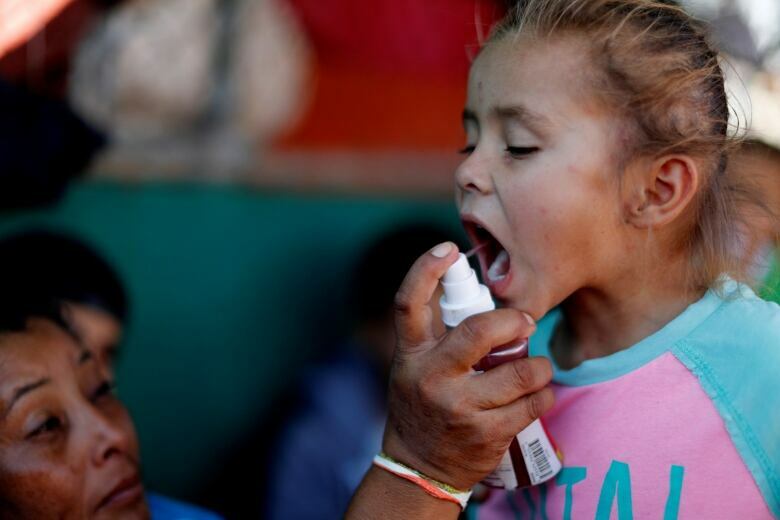 "These children have limited access to many of the essential services they need for their well-being, including nutrition, education, psychosocial support and health care," UNICEF said in a statement. 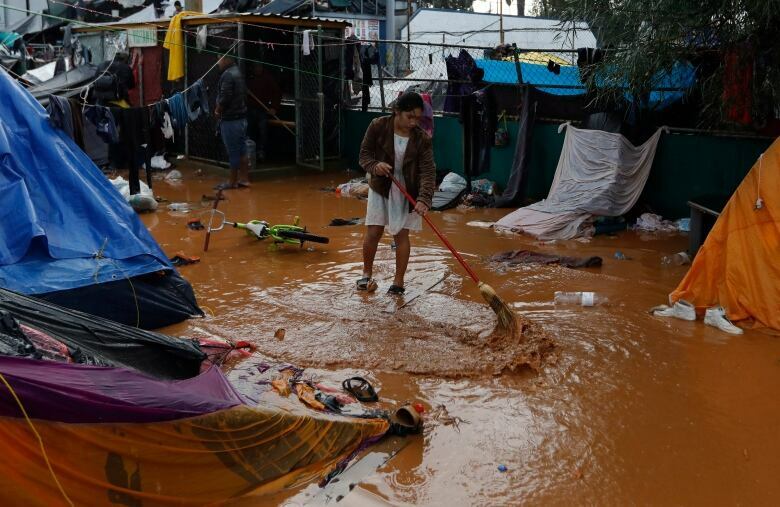 Making the situation worse, the agency's workers had to remove the colouring books, crayons and few other materials they had for children late Wednesday, because the agency lost its space on a baseball field to the arrival of more migrants. 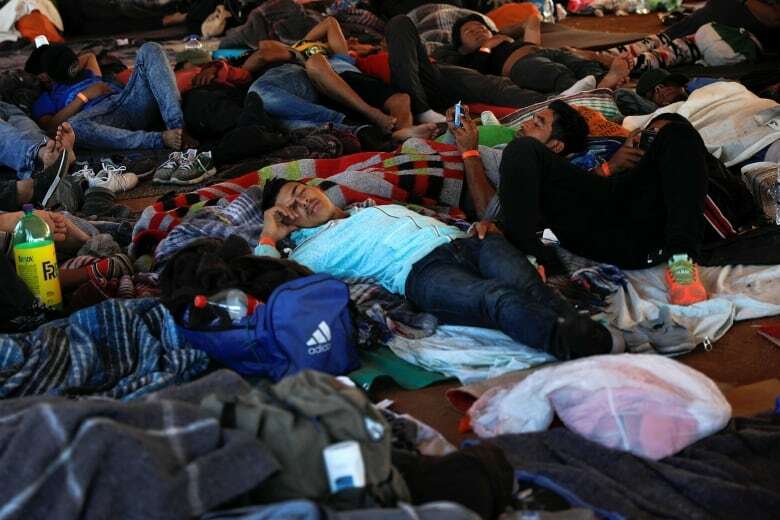 Miguel Angel Luna Biffano, a health volunteer with the Nazarene Church Compassion Ministries, which has been accompanying the caravan since the migrants crossed into southern Mexico, said his aid group was dealing with lice infestations as well as many respiratory infections. 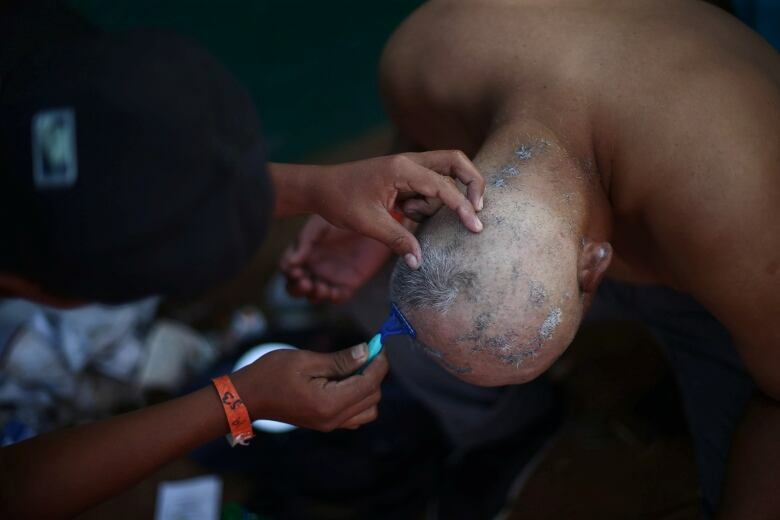 "There's overcrowding and very few hygiene norms,' Luna said. 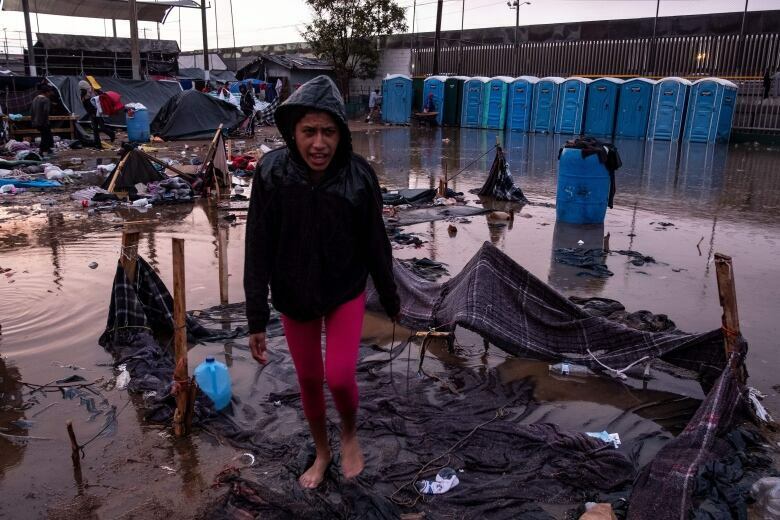 "With the water and the cold there are going to be too many infections, a lot of fevers. There is going to be a need for antibiotics." 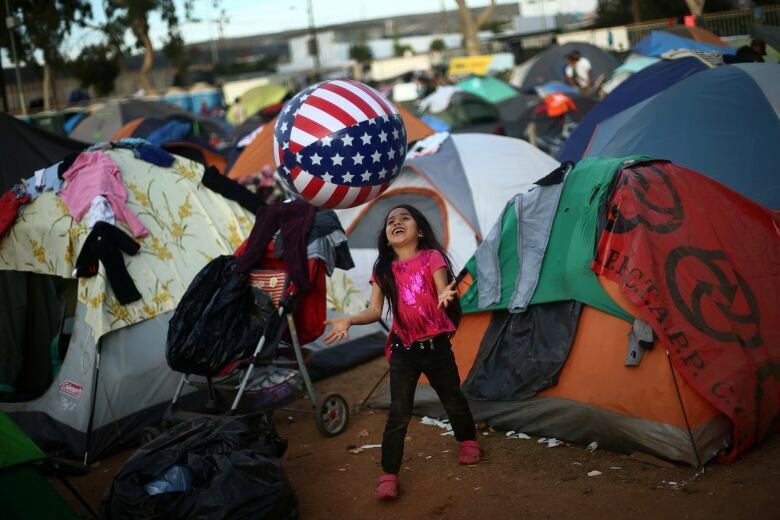 Before the rain began, the Tijuana government distributed sheets of plastic to help the migrants prepare their makeshift shelters of intricately hung blankets and tarps. 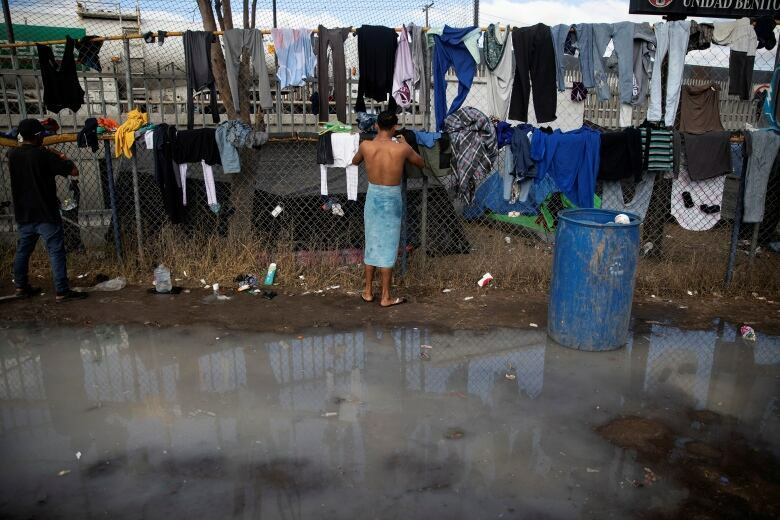 Tijuana officials have said they are working to open a new shelter, but they haven't said when or where, though it was likely to be much farther from the border. 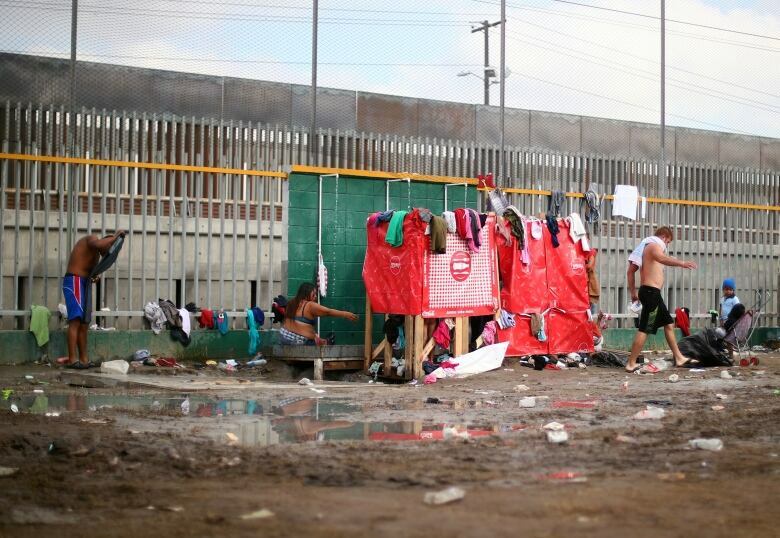 Luna said opening another shelter could help, but he wasn't sure how many of the migrants would go.